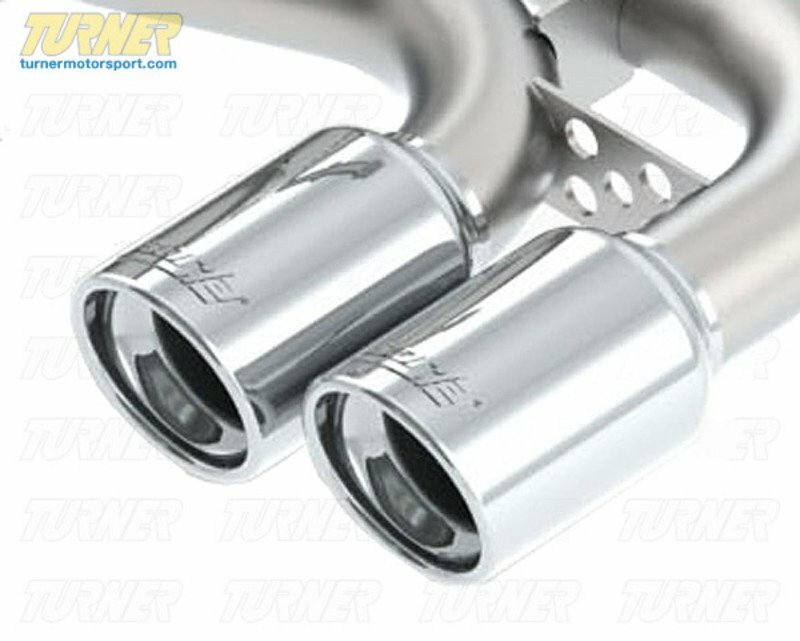 The Borla ATAK exhaust for the 1M is what the car should have had on it from the factory! Producing a throaty but muted growl, this exhaust makes the car sound like a baby M3. It's perfectly suitable for around town and civilized situations but will open up into a roar when you want the fun to start. Borla has spent a lot of time fine-tuning the mufflers to produce just the right amount of throaty noise while also eliminating drone as much as possible. 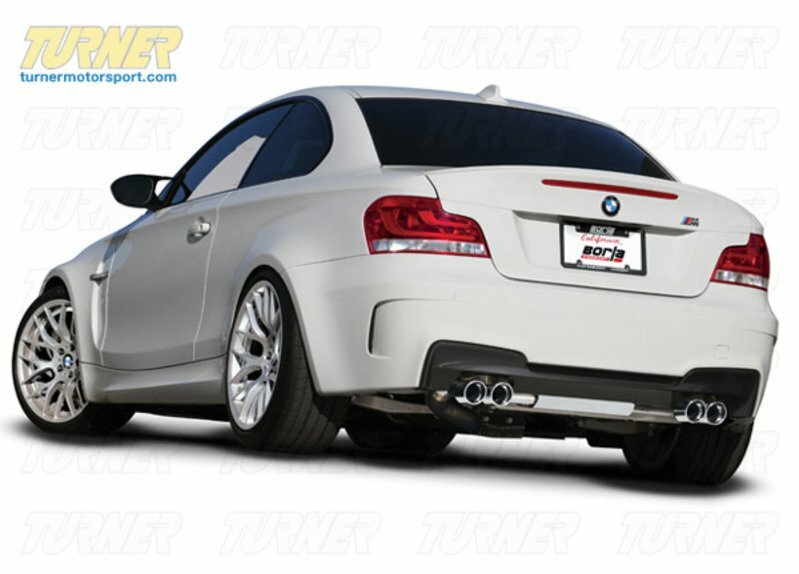 The rear section actually consists of two, separately-tuned Borla mufflers with the correct piping for a true, bolt-on fitment. 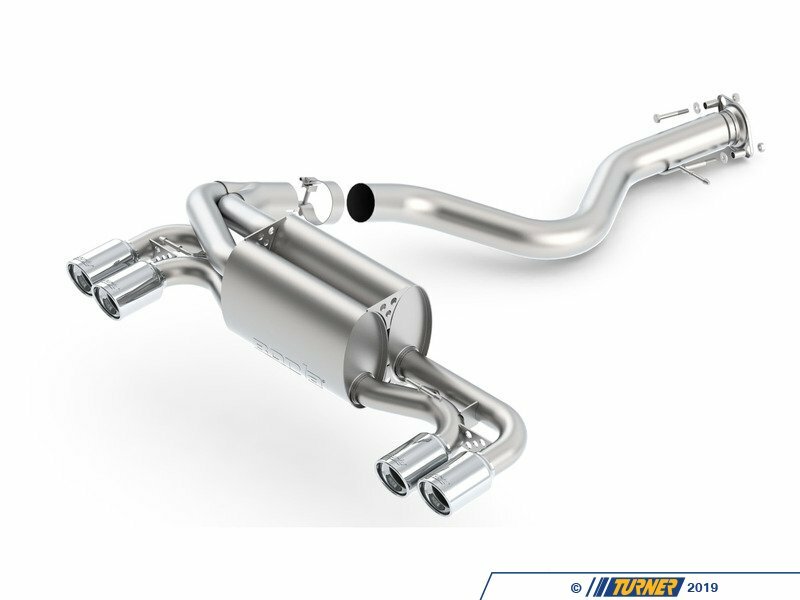 The entire system is 100% stainless steel with a 1,000,000 mile warranty. The quad round tips are 80mm diameter and polished, close to the stock size, for a subtle but pleasing aesthetic upgrade. Borla measured power gains of 7-10whp. For Borla's installation guide, click here.